Former Ole Miss head basketball coach Andy Kennedy has accepted an offer to become a college basketball analyst for ESPN and the SEC Network for the 2018-2019 season. The agreement comes after Kennedy’s multiple appearances on the network last March during the SEC Men’s Basketball Tournament. 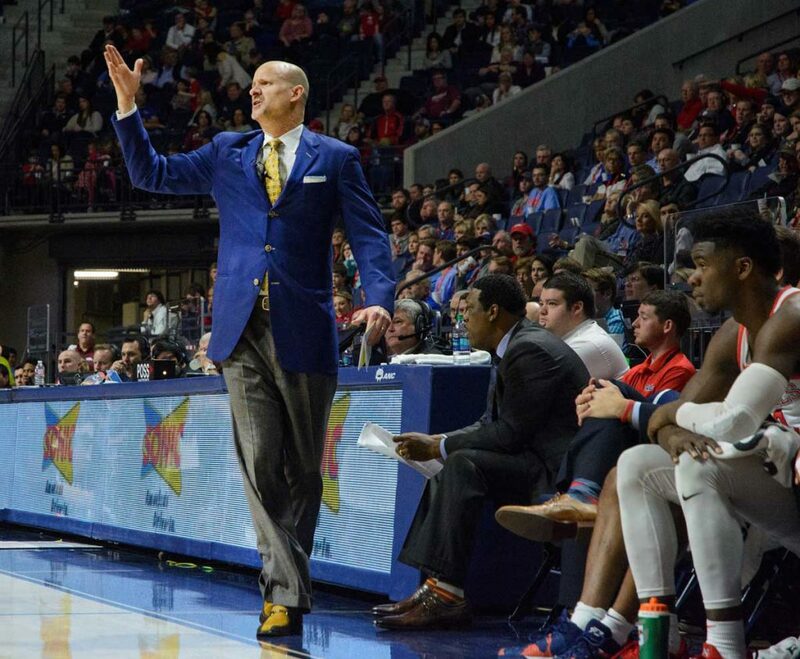 During his short stint as an SEC Network analyst during last season’s SEC Tournament, Kennedy provided interesting insight into the teams and players participating in the tournament due to his having faced them as the head coach of the Rebels. Kennedy will make his official debut on Wednesday at SEC Basketball Media Days in Birmingham, Alabama. “Having been a part of college basketball for over 28 years as both a player and a coach, including the last 12 seasons as a head coach in the SEC, I’m very excited to join the team at the SEC Network,” Kennedy said. The SEC had eight teams in the NCAA Tournament a season ago, a record high for the conference. “Coming off an unprecedented season with eight SEC teams earning NCAA Tournament bids, this league has never been better,” Kennedy said. Kennedy, who mutually agreed to part ways with Ole Miss following the 2017-2018 season, announced his resignation on Feb. 18 of this year. Kennedy spent 12 seasons in Oxford as Ole Miss’ head basketball coach. During that span, he was named the 2007 SEC Coach of the Year, led the Rebels to a 2013 conference tournament championship and became the all-time winningest coach in Ole Miss basketball history. His 245 wins as head coach put him at No. 18 of all-time in SEC history. Prior to his time in Oxford, Kennedy spent five years at the University of Cincinnati as an assistant coach before becoming the interim head coach in his final season. He served as an assistant coach at his alma mater, University of Alabama at Birmingham, for six years before taking the job at Cincinnati.